When looking at the myriad of roofing options available in the current market, it can be tough to make a decision quickly. Before making your final decision, you’ll need to weigh out the pros and cons associated with each selection. One of the more popular roofing options at this time is synthetic slate, due to its affordable price and high durability. Moderne slate is another roofing option that is picking up steam- after all, it can add a regal look to your home, is 100% natural, and lasts longer than most other choices. In this article, we’re going to take a look at some of the benefits of synthetic and Moderne slate roofs. -Synthetic slate tiles are more affordable than real slate. Synthetic slate is a “green” option, since these tiles can actually be recycled. Moderne slate materials can also be recycled, since they’re 100% natural. -Unlike tile roofs, you can choose from a wide variety of colours if you decide to get a synthetic or modern roof. It’s a great, cost-effective way to make your home stand out from the rest. -A Moderne slate roofing option can withstand some of the harshest weather conditions out there! These tiles are fire resistant, and will not crack, unlike many other roofing options. -Moderne slate is more expensive than synthetic slate, due to the fact that it typically lasts longer, and requires less maintenance. A modern slate roof can also provide your home with a majestic, distinguished look. 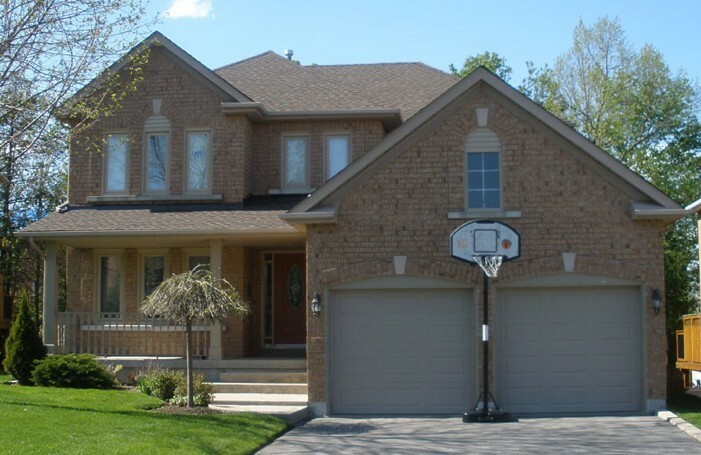 If you’re looking for a reputable source that can efficiently install a modern slate or synthetic slate roofing solution in the Toronto, York, and Durham regions, check out Dillon Bros. Roofing. For over 15 years, this highly praised company has continually satisfied their clients with their superior roofing expertise. These expertly trained contractors can provide you with a wide variety of roofing services, such as eavestrough cleaning, shingles and skylight installation, gutter clean system installation, aluminum and vinyl siding, snow removal, and much more. If you have any roof-related inquiries, or if you want a free estimate, check out their website at dillonbrosroofing.ca. This entry was posted in Roofing, Roofing Advice and tagged imitation slate roof, imitation slate roof Newmarket, modern slate roof, synthetic slate roof. Bookmark the permalink.